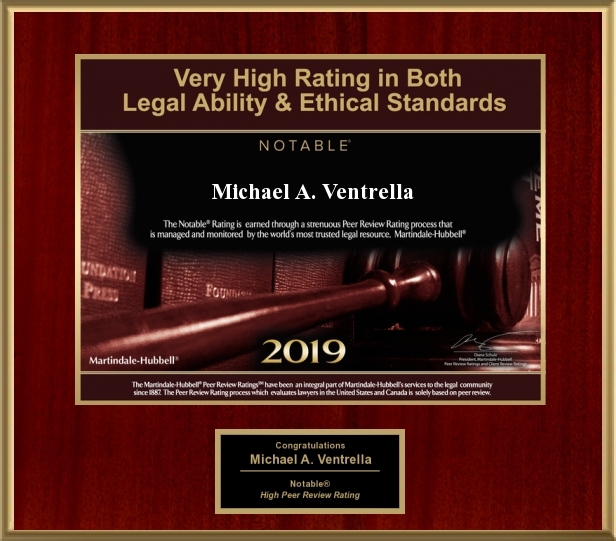 Vehicle Homicide Charges Dismissed | Michael A. Ventrella, Esq. The Monroe County District Attorney’s Office is seeking to refile dismissed vehicular homicide charges against an Effort man who last year allegedly fell asleep at the wheel and killed two people in Hamilton Township. County Court Judge Jon Mark cited case law in dismissing charges against Fernando Marin, 40, ruling that falling asleep at the wheel alone is not enough to constitute recklessness. Marin reportedly was not speeding or driving erratically when his Honda drifted into oncoming lane and struck a Saturn occupied by driver Brian Drogalis, 21, of Stroudsburg, and Pleasant Valley High School student Jessica Dettrey, 17, of Effort. Drogalis and Dettrey both died as a result of the Sept.16, 2005, accident on Route 209. Defense attorney Michael Ventrella agreed Marin was negligent in falling asleep, but opposed the prosecution’s claim that there was gross negligence (speeding, erratic driving), the element needed to prove vehicular homicide. Assistant District Attorney Janet Catina is seeking to refile charges against Marin in the State Superior Court, which has yet to issue a response to her request. Drogalis and Dettrey were two of four people killed in West End automobile accidents between September 2005 and January 2006. Pleasant Valley High School, student Jason Honey, 16, of Kunkletown, was killed Jan. 19 in Polk Township by drunk driver Mary Driesse, 42, of Albrightsville. Driesse recently was sentenced to three to seven years in state prison. Pleasant Valley High School graduate Dylan Hurley, 19, of Jonas, died in October 2005 after being thrown from a vehicle that struck a tree in Polk Township. The vehicle that was driven by Andrew Monohan, 19, of Kunkletown, who is awaiting trial on various charges, including reckless driving. The definition of recklessness will be before the Superior Court for review in a prosecutor’s appeal of an order dismissing charges against a driver who caused a fatal crash and claims he fell asleep at the wheel. The Monroe County District Attorney’s Office filed the appeal seeking a ruling that falling asleep at the wheel of a moving vehicle constitutes a prima facie case of reckless conduct. Monroe County Common Pleas Judge Jonathan Mark granted Fernando Marin’s petition for habeas corpus to dismiss charges of vehicular homicide, manslaughter, reckless endangerment and reckless driving. In his petition to dismiss the charges, Marin cited the Superior Court’s finding in Commonwealth v. Huggins, 790 A.2d.1042 (Pa.Super.2001) – a similar manslaughter case involving a driver who fell at the wheel of a moving vehicle constitutes a prima facie case of recklessness or gross negligence. Mark cited the Supreme Court ruling reversing the Superior Court in Huggins, 836 A.2d. 862 (Pa. 2003), noting that Marin had failed to note or confront the decision. The high court found that in certain cases, falling asleep while driving might support a jury question of recklessness. A state police investigation found that Marin was not speeding and that no drugs or alcohol were involved in the crash. A defense expert in accident reconstruction opined that the crash bore the typical indications the driver had fallen asleep at the wheel. Defense attorney Michael A. Ventrella, of the Law Offices of Mark Love in Stroudsburg, PA, said the decision is solid and follows the law, and noted that is sparked outrage in the community still mourning the deaths. Monroe County Assistant District Attorney Janet K. Catina said the case presented an interesting legal decision. She noted that Huggins is saying there may be circumstances where the fallen asleep scenario could qualify for the elements that would be necessary to prove recklessness,” Catina said. In Huggins, the defendant was driving a passenger van with 21 children not wearing seatbelts. While driving above the speed limit, the defendant fell asleep and crossed the centerline of the road, struck another vehicle and the van rolled over. Two of the children in the van died and the defendant was charged with involuntary manslaughter. An en banc panel of the Superior Court found the commonwealth failed to establish a prima facie case of the required mensrea to support an involuntary manslaughter charge. On appeal, the Supreme Court reversed, finding that falling asleep at the wheel could, in the right case, be sufficient to raise a jury question of recklessness. However, the court stopped short of making such a finding, instead holding that under the totality of the circumstances, the defendant’s actions constituted recklessness as defined by the Pennsylvania Crimes Code. In Marin, the commonwealth failed to provide any legal support for its charges, the court said. Mark noted that common non-criminal causes for the accident had been ruled out and no evidence sufficient to raise a jury question of recklessness was presented. “In short, on the record presented, we are constrained to find that the Commonwealth has failed to present prima facie evidence that the defendant acted recklessly by consciously disregarding a substantial risk,” Mark wrote. Although he found the commonwealth’s case did not support the charges, Mark wrote that he felt compelled to address the defense expert’s opinion that the defendant fell asleep in light of the Supreme Court’s opinion. Mark went on to explain that he declined to pose such an extension because there were other factors supporting the prima facie case in Huggins, the commonwealth in Marin failed to present evidence the defendant was sleep, and the defense expert’s opinion that Marin fell asleep was designed to support the assertion the defendant acted negligently, not recklessly. On September 28, 2007, the Superior Court, in a unanimous decision, upheld the lower court’s decision, thus freeing Mr. Marin.